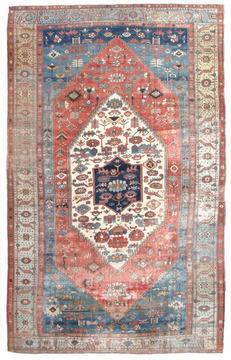 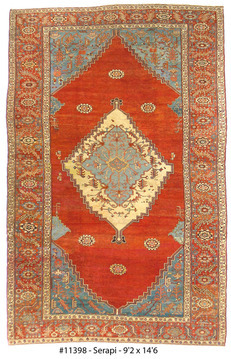 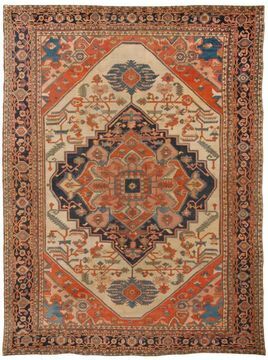 The Serapi rug is manufactured in what was known as the Sarab region of Persia, now located in Azerbaijan and northern Iran. 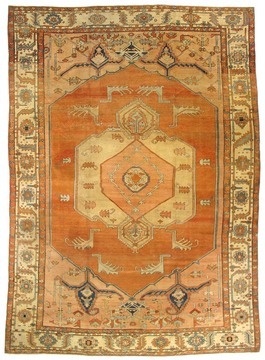 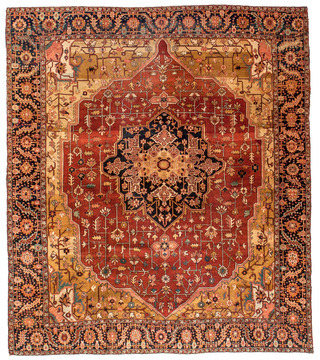 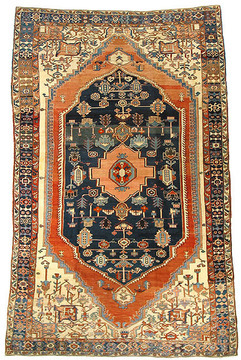 Original Serapi rugs were created in the villages of Serapi, Sarab, Ahar, Heriz and Gorevan. 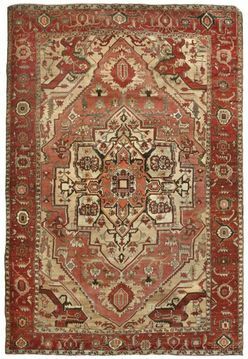 The Serapi rug can be traced back to the beginning of Persian handmade rug production in 5,500 B.C., but it was not until the mid-19th century that Persian rugs began to be exported around the world. 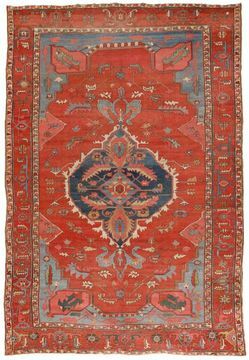 Before these rugs became an export item, they were used only in the villages in which they were produced.The Serapi rug was known as a Sarab until export of the textile began. 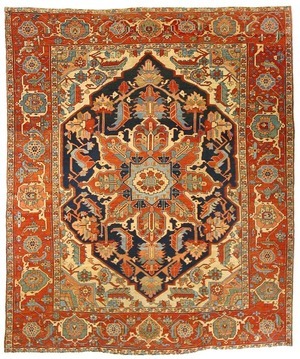 A number of reasons are given for the name change, including an incorrect translation by American merchants. 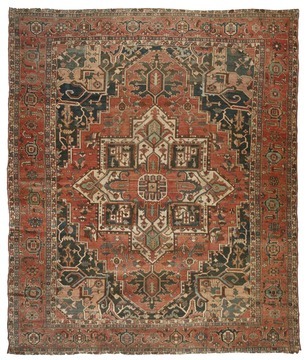 Another reason commonly given is related to a visit by the Prince of Wales to India in 1876 on the ship the Serapis. 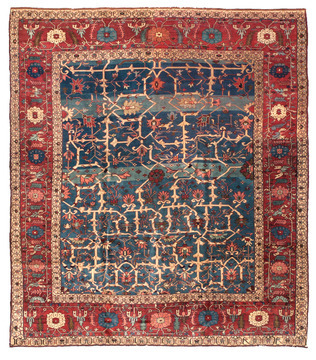 Some believe the ship gave its name to both the rug and the region. 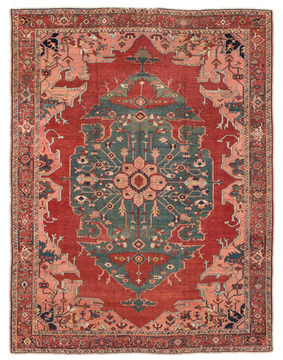 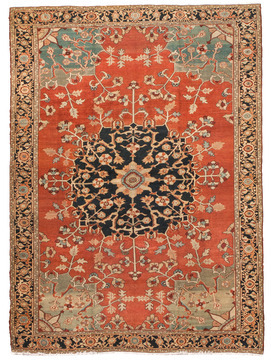 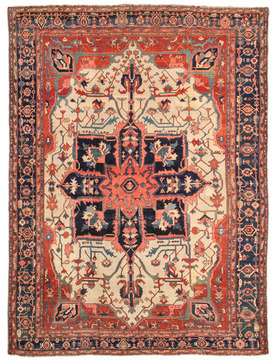 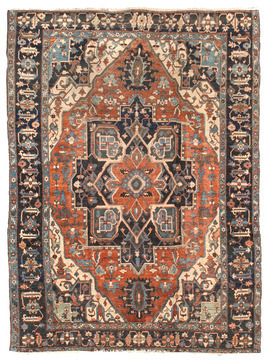 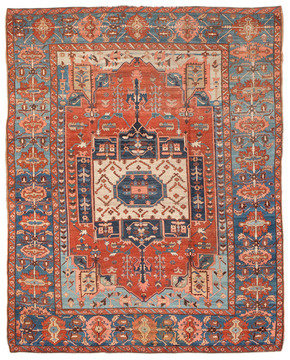 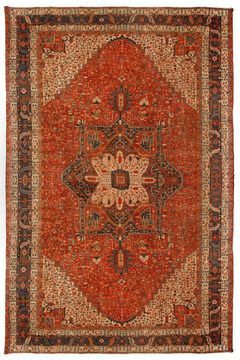 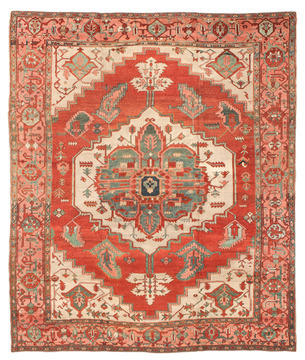 Often carrying a central medallion motif, the Serapi rug is hand woven and knotted using symmetrical knots pulled right. 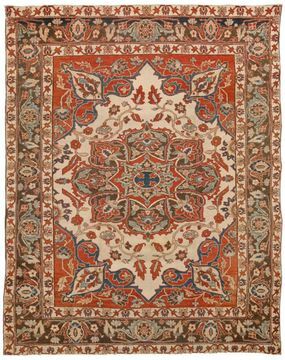 The wool of the Sarab region, where the Serapi rug is produced, is claimed to be stronger than other wools because sheep in the region drink water containing traces of copper. 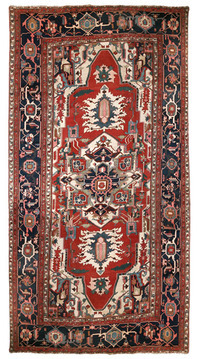 The Serapi rug is known for its strength and durability.